This chapter summarizes the latest basic and applied advances in desert truffle research carried out to improve our knowledge of the biodiversity, physiology, biotechnology, and cultivation of these hypogeous and edible fungi. ITS-rDNA sequences in phylo-geographic studies and host plant and soil pH characteristics have been the key to describing eight new desert truffle species. 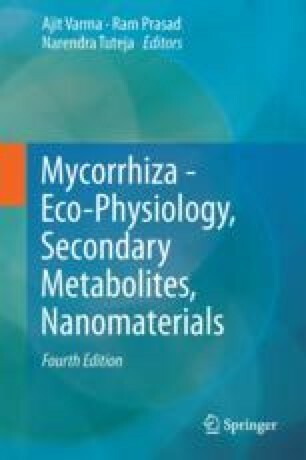 The production of desert truffle mycorrhizal plants has been improved by using β-cyclodextrin and bioreactors for mycelium culture and native beneficial bacteria (PGPR and MHB) to increase seedling survival and mycorrhization. Some fungal enzymes have also been characterized in Terfezia claveryi ascocarps. The presence of alkaline phosphatase both in mycelia and ascocarps indicates that this enzyme plays an important role during the life cycle of T. claveryi, while acid phosphatase might be involved in a process that takes place during the ascocarp stage. Numerous desert truffle plantations have been established in Spain in the last 10 years. A high density of mycorrhizal plants combined with a proper irrigation are two important factors to stimulate ascocarp production. The combination of a high rate of intracellular colonization together with the fine-tuned expression of fungal and plant aquaporins could result in a morpho-physiological adaptation of this symbiosis in drought conditions. Moreover, desert truffle sylviculture is proposed for improving truffle production and for conserving the natural areas where desert truffle grow. This work was supported by projects 19484/PI/14 (FEDER and Fundación Séneca-Agencia de Ciencia y Tecnología de la Región de Murcia, Spain) and CGL2016-78946-R (AEI/FEDER, UE). JEMG thanks MINECO for a PhD grant (DI-14-06904). FA thanks MINECO for financial resources from the Youth Employment Initiative (JEI) and the European Social Fund (ESF), National System of Youth Guarantee (PEJ-2014-A-83659). ANR thanks the University of Murcia for a postdoctoral contract.